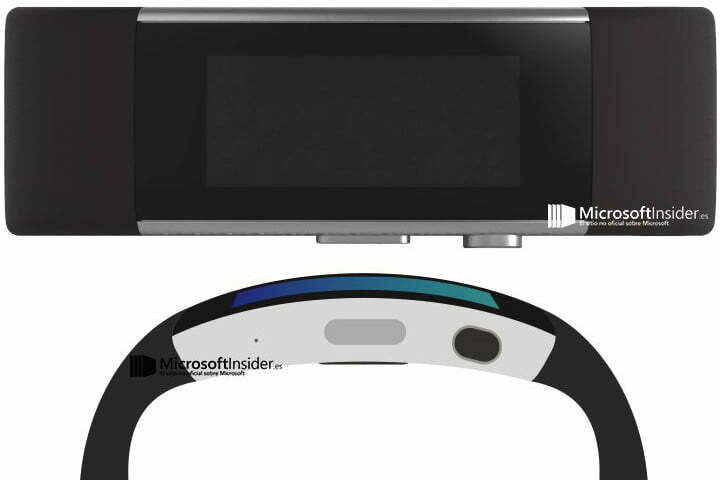 Microsoft may be working on a sequel to the Microsoft Band fitness wearable, and the first images of what could be the device have been leaked. Apparently being devised under the codename Envoy, the Band 2 — as it may be called — will be sleeker, more stylish, and therefore perhaps more wearable if the pictures turn out to be accurate. The most obvious change is the flat, dead-straight display that made the Microsoft Band look dated the moment it went on sale, may become a curved display, much like the Samsung Gear Fit. However, because we’re seeing renders of what could be the Band 2, there’s absolutely no guarantee the picture device is real, so keep your expectations in check if you like what you see. Two hardware buttons are shown on the side of the wearable, and a side shot indicates the body should be more ergonomic than before, although the full render gives us a glimpse of an oversized clasp — where some of the Band’s many sensors may still remain — meaning it may not be that comfortable to wear when typing or working at a desk. According to Microsoft Insider, where the leaked renders originated, the Band 2 will have several more sensors to add to its already impressive roster. These could include an altimeter for detecting changes in height, such as when climbing or ascending stairs. There’s also mention that the Starbucks partnership will continue, allowing wearers to integrate their coffee payment card into the Band, then pay using it in stores. Although no solid release or announcement date is mentioned in the leak, we may hear more about it during the planned Microsoft event at the beginning of October, where Lumia phones and other mobile hardware are expected to be the focus. Additionally, Microsoft may put the Band 2 on sale in more countries this time, with Spain, France, Italy, and Germany all possible. We’ll keep you updated on any further developments regarding the Microsoft Band 2.